Divorce is a fairly common phenomenon these days. Just about everybody knows someone who has been affected by divorce, assuming they haven’t already experienced it themselves. Despite this, there are still a number of misconceptions about divorce that are popular in the public imagination. 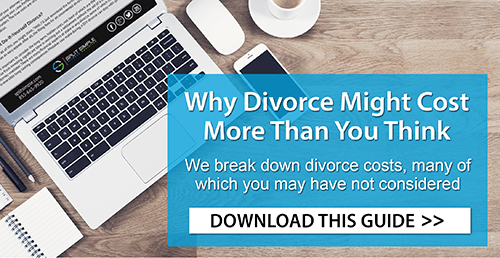 These misconceptions often affect people’s attitudes when they consider a divorce. They might even convince a couple not to go through a divorce. Split Simple’s attorney-mediators know what’s true and what’s false. Our uncontested divorce process cuts through the myths and focuses on hard, quantifiable reality. That’s the only way to get a truly just result. If you have questions about our uncontested divorce process, please call Split Simple today at (855) 665-9920 for Chicago divorce mediation and uncontested divorce services in Denver. It’s always a good idea to know as much about an unfamiliar thing as possible before grappling with it. That’s as true with divorce as it is with any consumer product. You’ll be a more confident, relaxed client if you have a clear sense of what to expect during the process. The division of assets always has to be exactly 50/50: While an equitable division of assets is a principle of divorce law in many states, “equitable” doesn’t always mean 50/50. There’s leeway in devising an asset division plan. Fault matters: When you live in a no-fault divorce state, blame is irrelevant. With the rare exceptions of economic malfeasance or domestic violence, responsibility for the divorce will play no role in asset division or other issues. Retirement accounts must be liquidated: In fact, you will not have to liquidate retirement accounts accumulated in your name. Our attorney-mediators can craft a plan that allows the retirement account to pay out a certain amount or percentage to both spouses without liquidating it. Divorce will hurt our children: There’s no doubt that divorce is hard on kids. But experience has shown that many children are better off with two separated but loving parents instead of a household with two married parents but a poisonous atmosphere. A courtroom divorce is the only way to protect myself: Many people reject mediation because they feel it won’t protect their rights. In reality, our attorney-mediators look out for both parties. Our objective, unbiased attorney-mediators will ensure you have a chance to make your voice heard while all parties work out a settlement. We understand you might have some questions about divorce mediation in general and Split Simple in particular. We welcome these questions and look forward to explaining why our process can work for you. If you think a simpler, smarter uncontested divorce process sounds appealing, please call Split Simple today at (855) 665-9920 or contact us online for Chicago divorce mediation and uncontested divorce services in Denver.